ScreenDaily is reporting that Bankside Films has secured a number of international deals for Lee Cronin’s feature debut, the psychological horror The Sunlit Night The Hole in the Ground. 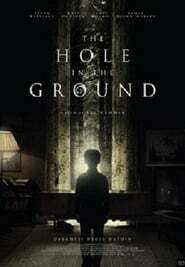 Rising star Seána Kerslake plays a young single mother who is trapped between rationality and the unexplained as she becomes convinced her little boy has been transformed by something sinister from the depths of a mysterious sinkhole. Cronin co-wrote the script with The Professor and the Madman Stephen Shields (The Republic of Telly). The film also features James Quinn Markey (Vikings), James Cosmo (T2 Trainspotting), Simone Kirby (Jimmy’s Hall), Steve Wall (An Klondike) and Kati Outinen (Le Havre). Writer/director Cronin is best known for his multi-award-winning short Ghost Train, which won the Melies D’Argent Award for Best Fantastic Short Film in 2015. The Report He is reunited on this project with DoP Tom Comerford, as well as with producers John Keville and Conor Barry of Savage Productions. Conor Dennison (A Dark Song) is production designer and Colin Campbell (The Young Offenders) is the editor.